You’ve decided to turn your book into an audiobook. That’s great! This article will help you choose the right audiobook production company to produce an audiobook that will knock the socks off your readers…um, listeners. First, you’ll need to check to confirm that you have audio rights to your book. If you published with a traditional print publisher, you may not. Most publishers own the audio rights as part of the publishing deal. Check your contract or contact the publisher and ask them. If you self-published, you probably own the rights. The next step will be to choose a company to help you produce your audiobook. There are not too many studios that focus exclusively on audiobooks. It’s important that you work with a company that specializes in audiobook production. The audiobook production process is very different from other types of recording. Most studios specialize in one type of recording. Studios can specialize in dubbing, video, music, sound design, or audiobooks! Our audiobook production company wouldn’t try to do dubbing for video or record a band since we have neither the gear nor the expertise to do so. The instruments would be dead and lifeless and we don’t have the expensive outboard gear to produce major label-sounding vocal tracks. Each recording specialty requires specific recording rooms, equipment, microphones, and most importantly, expertise. Music studios have similar issues when it comes to audiobooks. They don’t have the right sound-rooms. Their engineers aren’t experienced with the audiobook production process. Many use paper scripts and track without headphones, and that’s on top of not knowing how to track characters. Audiobook engineers are less technical and more like vigilant editors making sure not only that everything is captured during the recording, but there are no mistakes—no mispronunciations, mouth noises, or any other issues that end up in recordings done by non-experts. In this particular line of work, going back in later to fix things is not ideal and can seriously derail your project; it has to be done right the first time. First off, audiobook studios are very quiet. Good audiobook producers are either in ultra quiet areas of town or they spend tens of thousands of dollars on soundproofing. They build rooms within rooms and add extra absorption materials to completely isolate sounds from the outside world. For audiobooks, this is important because you are recording for hours on end. You need complete isolation from the outside world so those sounds don’t get into your recording. Now while your listener might be hearing about the police finally cracking down and going after your protagonist when, suddenly, sirens! That’s atmospheric, right? Less so if it’s in the middle of something more intimate, or really anachronistic. “Sirens, you say? In the Shire? How odd.” That’ll take you out of the moment! Another thing audiobook producers do is that they work exclusively in headphones. They need to hear the small sounds that can make their way into recordings. Little things like a shuffle by the talent, a “mouth noise” (little sounds your mouth makes when a person is slightly dehydrated), a stomach growl or a leaf blower outside will be heard in headphones, but not necessarily through studio monitors. Most music is mixed in speakers and not headphones, for example. 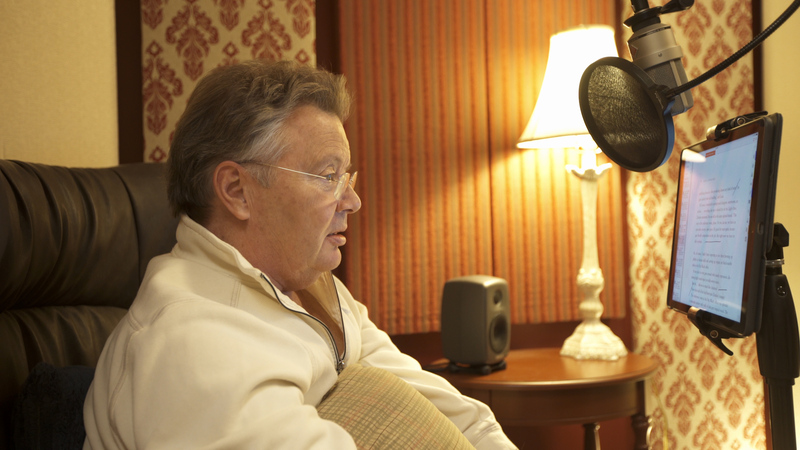 Recording great audiobooks requires a specific process involving a team of experts. Audiobook producers know how to streamline the production process. 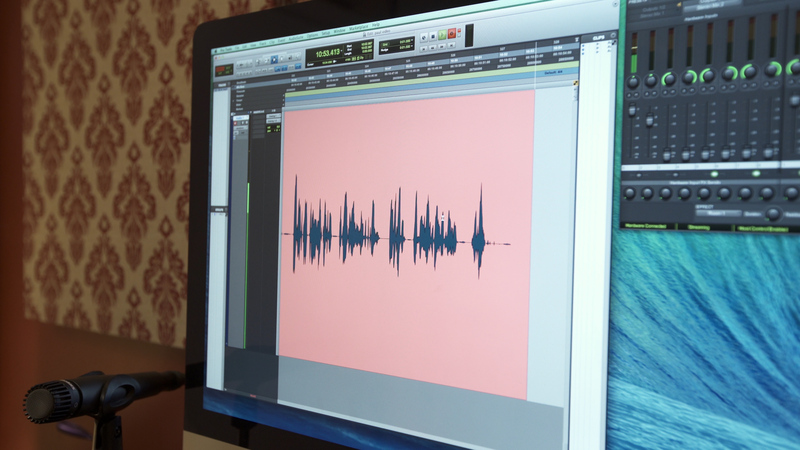 From casting correctly to research, marking edits using digital scripts, time stamping characters, knowing how to direct talent (and not over-direct), and using experienced editors and proofers in post-production…audio production studios will navigate the audiobook production process with ease compared to other types of studios and production houses. Our company, Verity Audio, has been producing audiobooks for publishers and authors for more than 12 years. We have the process down and have many team members with more than 10 years of audiobook production experience. We’d never think of doing dubbing, radio or music. Why? It’s a specialty we know very little about. Sure, we could probably limp our way through it, borrow some gear and read a few online articles, but we think it’s better to be the best at our particular craft. Our pricing is fair. We’re cheaper than other full-service audiobook production houses although we provide a substantially similar product. When you’re doing something as important as having a voice bring your masterpiece to life, leave it to the folks who specialize in doing just that! It’s not worth leaving something so important to chance.